Looking for a fun spring craft for kids? 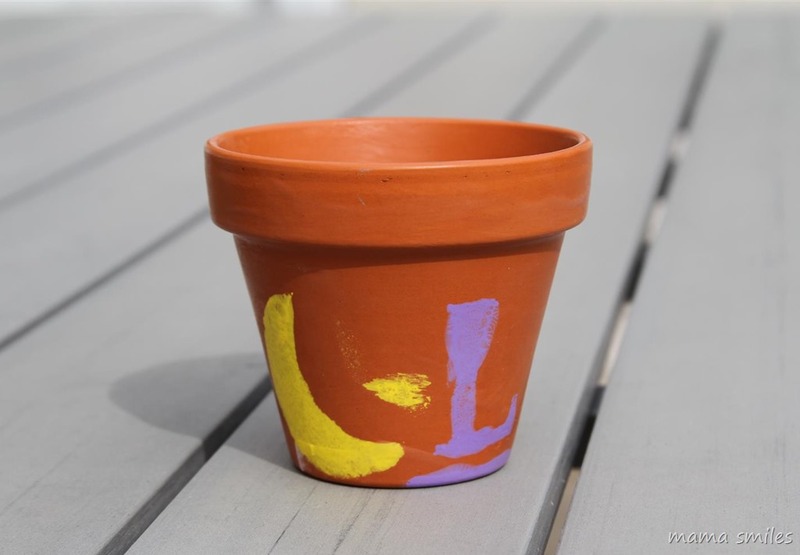 It’s easy to decorate terra cotta pots, and then you can use the finished product to plant spring flowers! 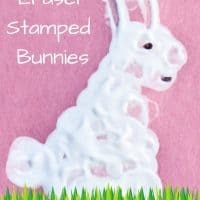 You might also enjoy making these eraser stamped bunnies as a spring art project. 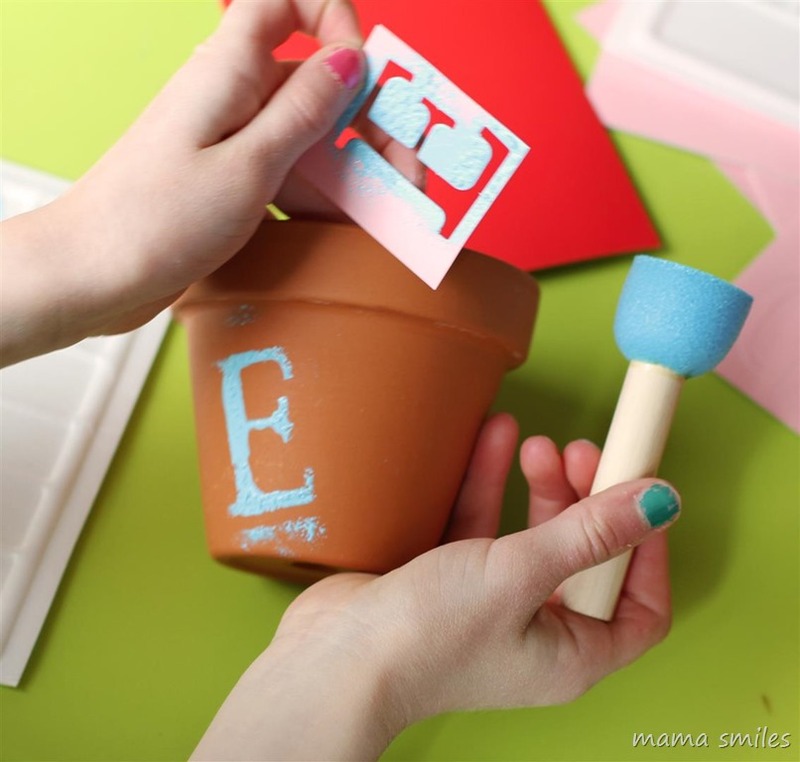 I hope you enjoy this easy craft for decorating flower pots that I am sharing today! 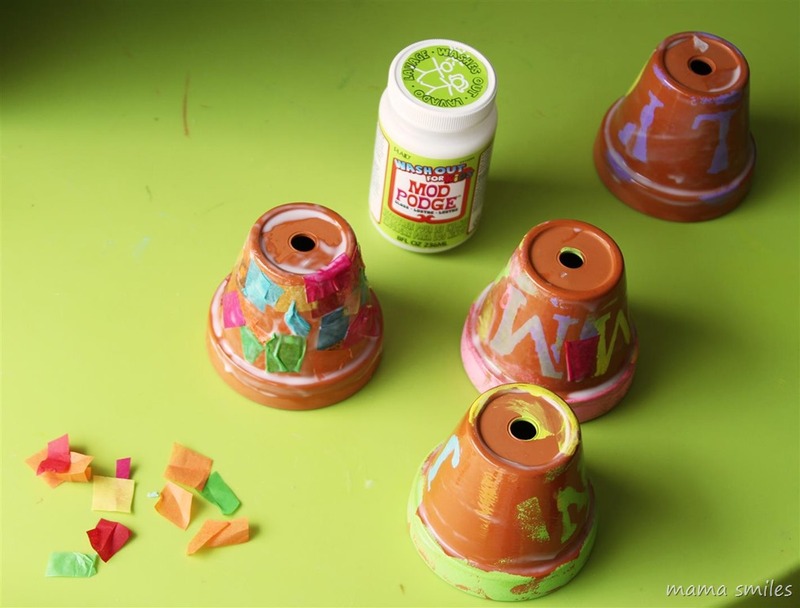 Decorating terra cotta pots is one of my favorite spring crafts for kids! Lots of room for customization, and they can really take pride in this craft and turn it into a lovely Mother’s Day gift or teacher gift. 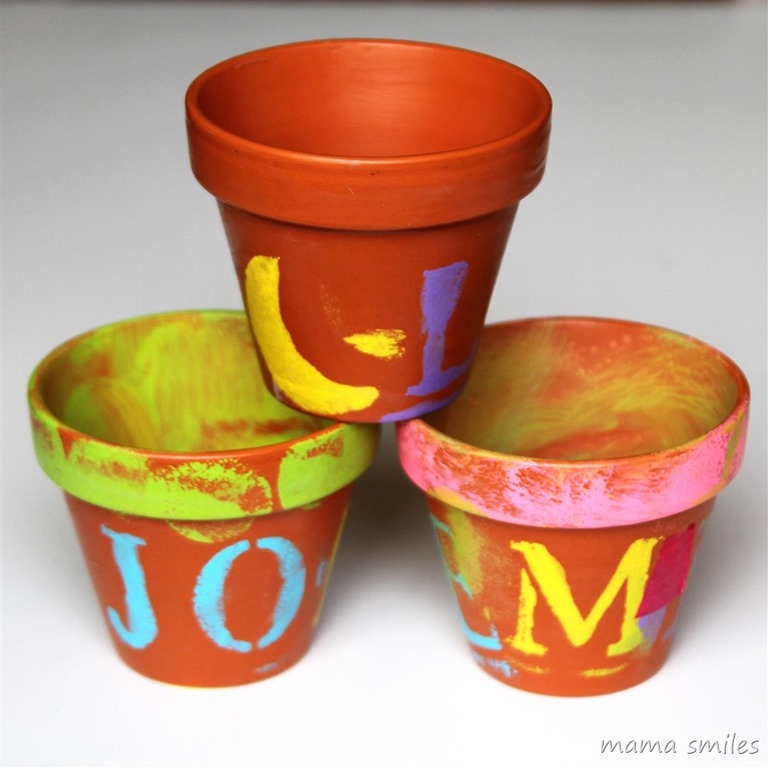 My kids really enjoyed stenciling their names onto these terra cotta clay pots (ours were just over 4 inches tall). The idea for this project came when Blueprint Social sent us some Mod Podge Washout and Apple Barrel paint, as well as letter stencils and three foam spouncers to play with. I had the pots left over from another project, and they seemed perfect for the spring paint colors. The kids are still deciding whether they want to use the pots for flowers or if they want to keep their crayons on them. I suspect crayons will win. My kids love their craft supplies, and they know they get to plant seeds in our raised garden outside! We started off with our terra cotta pots and the supplies pictured above. My kids were anxious to get started, but they actually decided to wait until we had a couple friends over who could join in on the fun! The stencils come four per sheet, but they are easier to work with if you cut them in four. We learned that you want to make sure you have a medium amount of paint on the sponge spouncer, but having too little is better than too much. You also want to make sure your spouncer is pretty dry after you wash the paint off it – otherwise it can make letters look messy. If you mess up a letter you can wipe the paint off while it is still wet and start over. Apple Barrel paint is an all-purpose acrylic craft paint that cleans up with soap and water while wet. Once they finished the letters they added a little extra paint to the top of the pot. Once the paint was dry, they added Mod Podge – it seals everything in, and I feel that it also really makes the colors pop. 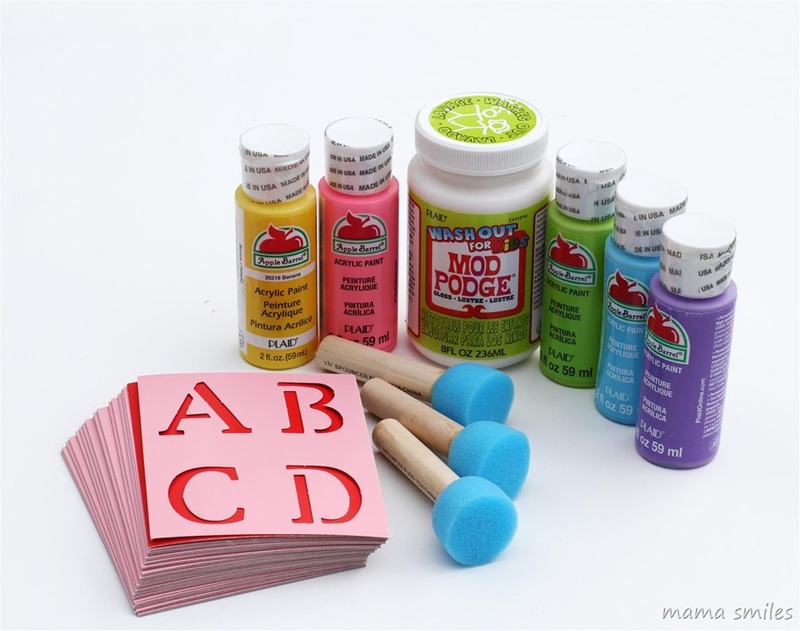 Mod Podge Washout is the same formula as Mod Podge Gloss but washes out of clothing and furniture with soap and water, even when it is dry – making it perfect for moms and teachers. You can throw clothes in the washing machine and it will come out – no pre-soak needed. My kids are all very neat, and they didn’t get any anywhere, but it was still reassuring to know it would come out. 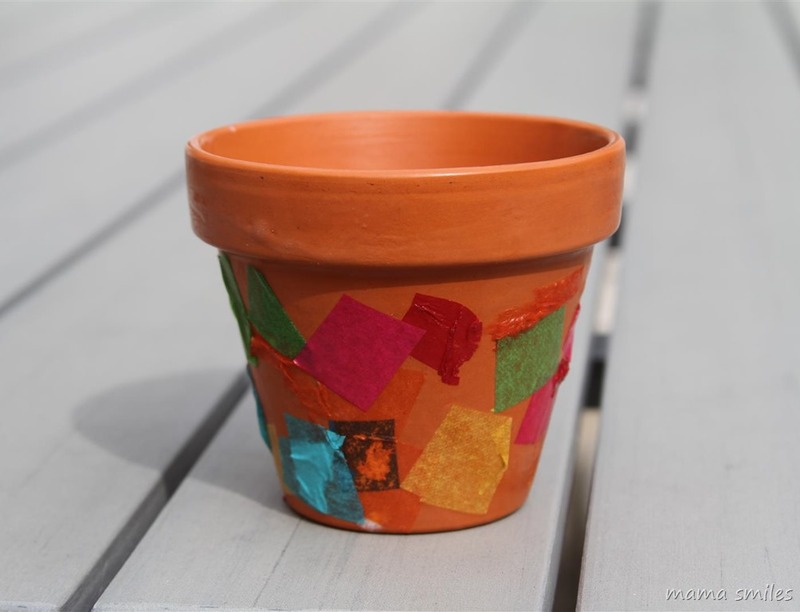 We mod podged a few squares of colored tissue paper onto a fourth pot, just as an experiment. 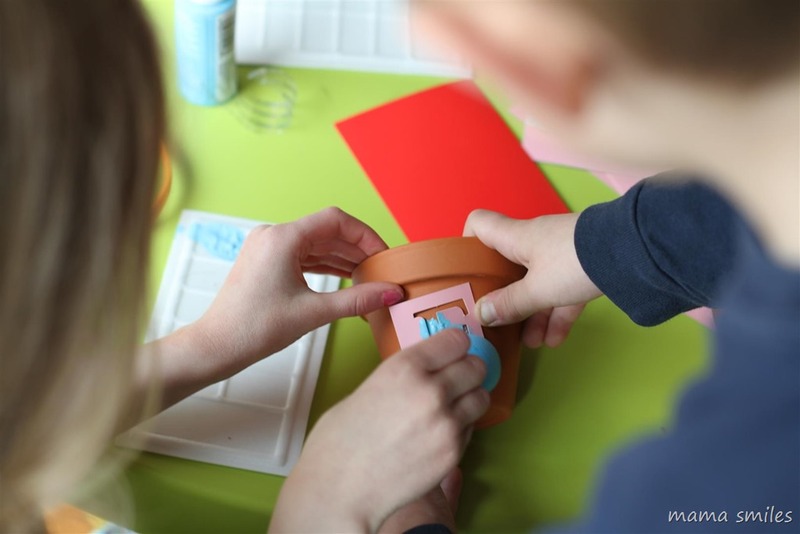 The kids also got a little over-enthusiastic with mod podge on the tissue paper pot – you can see the extra mod podge in the picture above. It looked fine once it was dry, and I think it would have looked really neat if we had painted the pot a pale blue or other light color before adding the tissue squares. This is seven-year-old Emma’s pot. I like the texture of the pink and other sponging she did around the pot. She also added a couple squares of tissue to her pot, and this photo illustrates nicely how the mod podge makes the colors stand out. Our letters are not perfect, but that is because they were done entirely by the kids. An adult can get clean lines easily. Here is five-year-old Johnny’s pot. He used a dot pouncing technique around the rim. 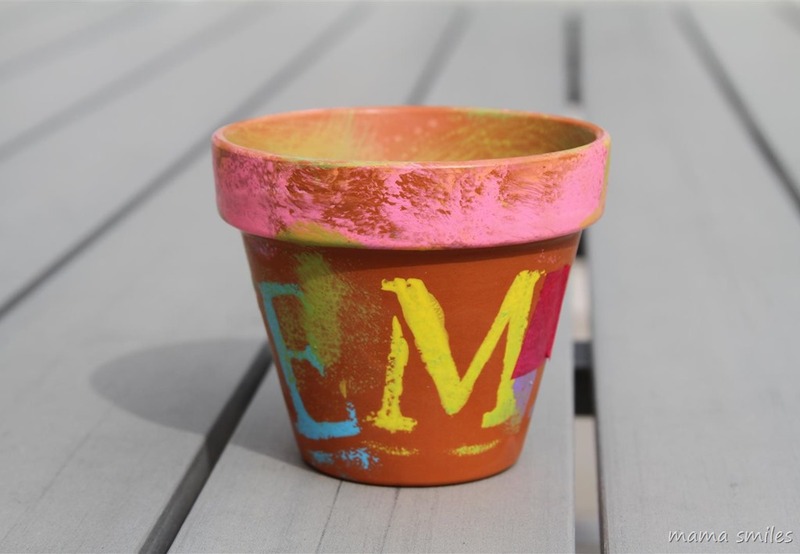 Both he and Emma painted the insides of their pots. And this is three-year-old Lily’s pot. She added a yellow moon stencil to her pot, and you can see that her letters are the least neat. Lily is a minimalist in most craft projects, so it isn’t surprising that she chose to keep the rim and inside of her pot plain. This post was originally written as part of a campaign with The Blueprint Social. It has since been amended. All opinions are my own. What is your favorite way to decorate terra cotta pots? This is a cute project! I love how bright the colors are. It looks that they all had fun with this craft. The colors are really vibrant, and super easy to work with. Love it! 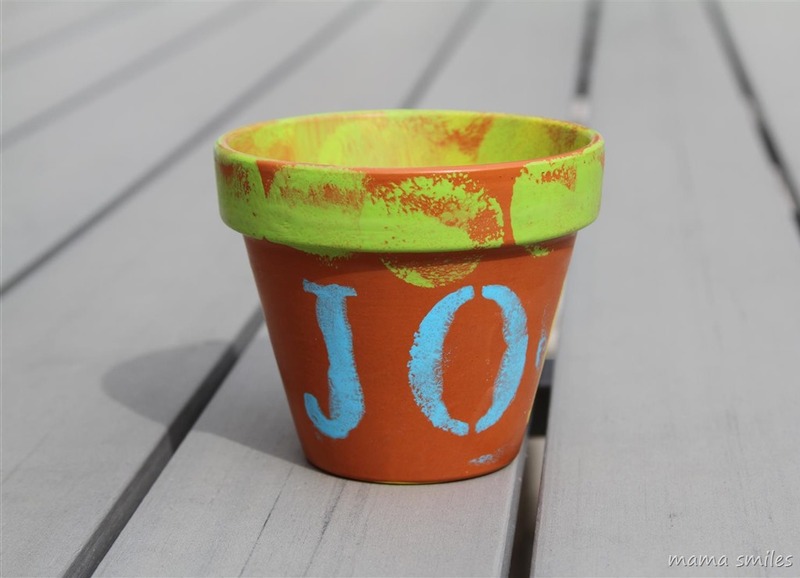 You can’t beat flowerpots for a fun spring craft! This is a perfect craft for kids of all ages! Love how you added the tissue paper with the Mod Podge! Great idea for a fun, creative project that will look beautiful in the house and last for a while. I can see children being proud to showcase it to anyone visiting the house! 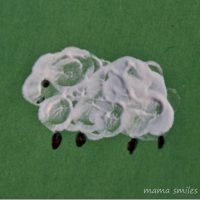 I have a hard time not using too much mod podge, so I quite understand their dilemma. Fun! I have pots I bought for my son to make Mother’s Day gifts last year…well…maybe they’ll actually be done by Mother’s Day this year. :) I think he’d enjoy the stenciling more than my original plan. 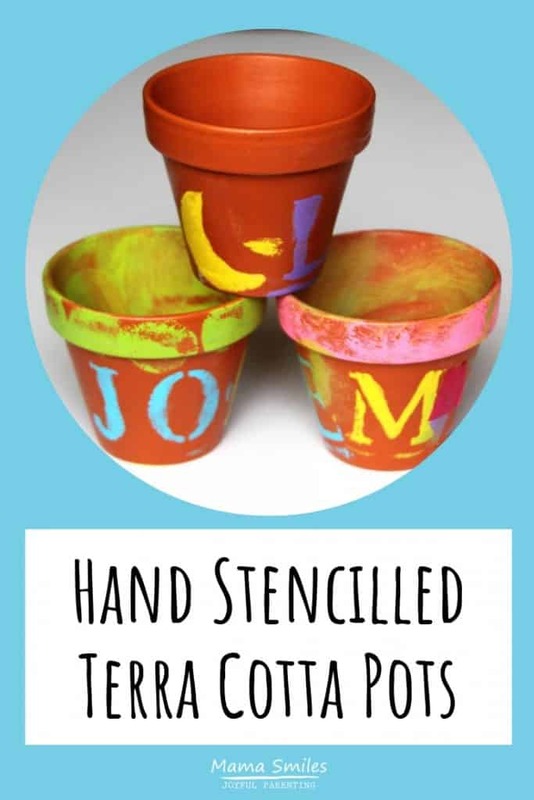 My kids loved the stenciling, and I agree they would make great Mother’s Day gifts! They are beautiful! I am thinking that they would make great Mother’s Day gifts planted with some herbs for a windowsill! 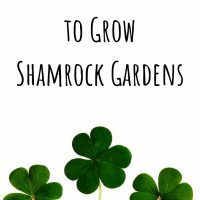 I agree they would make great Mother’s Day gifts – and I love your idea of using them to plant herbs! Is it wrong that I just like that word spouncer. Spouncer spouncer. The pots are gorgeous! Thanks! It is a very cheerful word, isn’t it! Super cute and cheap craft! We’ve already started our “garden” this year with plants on the window sill – too bad the Dixie cups we used don’t work well for longer germinating plants. The little pots are perfect for beginning the garden. 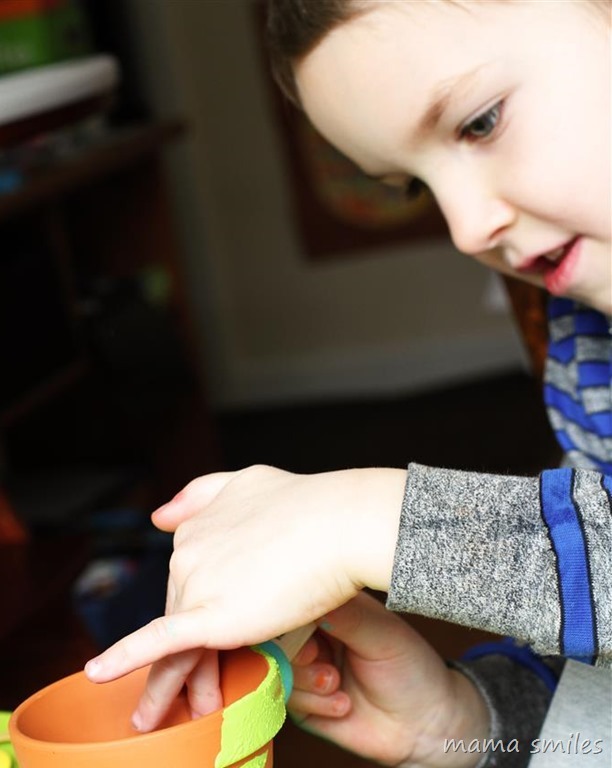 I’ll be doing this activity next year with J.
I can’t believe that your kids didn’t get the modge podge everywhere – crafty and neat is such a wonderful combination. The pots turned out beautifully and I love that your kids waited until their friends could join in and that Johnny held the stencils for Emma. You have pretty amazing kids. How fun! I love the way the stenciled letters look! Oh, I like these! We are always planting and gardening so my kiddos would love these. So personal and sooooo cute! They are very fun to make! One day I’ll have to try out mod podge. Your kids’ projects look amazing, and I’m sure they will love using them over and over.. I was very happy to see this new washable mod podge – so if it does get on clothes, you can wash it out. I am a huge fan of washable craft supplies for kids! I haven’t tried the Mod Podge Washout yet. I am always hesitant to let my son use Mod Podge. It’s great to know there’s another option! I love how your pots turned out! Thanks! I love washable crafting materials for kids! Those pots would make GREAT gifts! These are awesome – now I want to make some! Do you remember how long they took to dry? 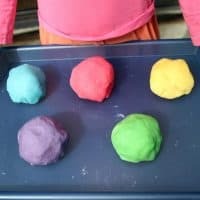 I am planning this craft for an evening activity with a group of children, and was hoping that they dry relatively quickly!? The Apple Barrel paint dried really quickly! The Mod Podge takes a little longer, especially if you use a lot. It might be best to have some sort of box or tray for them to bring the pots home in? Our friend skipped the mod podge step entirely and just took it home painted, without needing a container. Looking forward to seeing more cool crafts. When you share projects of mine and use photos you need to link to the post for instructions, not link to my general site and then summarize the instructions. Please make this change. My apologies. The link ts to the specific page and the photo now links to this specific project page as well. How funny this just showed up in my reader again, and I was about to comment about our love of acrylic paints, when I saw I’d commented before. These are perfect! What a fun Spring craft!